Dr. Pessin is the diabetes center director and the Judy R. and Alfred A. Rosenberg Professorial Chair in Diabetes Research at The Albert Einstein College of Medicine of Yeshiva University. He received his B.A./MA. degrees from Brooklyn College, Brooklyn, NY and his Ph.D. degree from the University of Illinois at Urbana, Illinois. He then was a postdoctoral fellow with Dr. Michael Czech at The University of Massachusetts Medical Center and was appointed as an Assistant Professor of Physiology & Biophysics at The University of Iowa in 1983. Dr. Pessin was promoted to Associate Professor (1988) and Professor (1991). He was also appointed as the Associate Director of The University of Iowa Diabetes Center in 1991 and received the Eli Lilly Outstanding Investigator Award from the American Diabetes Association in 1996 and The University of Iowa Foundation Distinguished Professorship in 2001. In 2003 he became the Chair of the Department of Pharmacological Sciences at Stony Brook University where he received the William and Jane Knapp Professorial Chair of Pharmacological Sciences. Dr. Pessin accepted his current position in 2008. Dr. Pessin’s research in diabetes and insulin action has centered on the molecular analysis of receptor tyrosine kinase activity and regulation of proteins kinases, small GTP binding protein cascades that control the rate of glucose uptake and metabolism in skeletal muscle and adipose tissue. More recently his laboratory has been investigating the role of adult progenitor cells in the development of adiposity. These efforts utilize state-of-the-art cell biological approaches including microinjection and living single cell confocal fluorescent microscopy in cell model systems and homologous recombination in mice to generate several genetic animal models of insulin resistance and diabetes. These mouse models of insulin resistance are providing important new information for our understanding of the molecular events causing altered metabolism and the basis for more effective treatments of diabetes and metabolic dysregulation. As a well-established and internationally recognized research scientist, Dr. Pessin has served on numerous scientific review panels, research boards and program development committees. 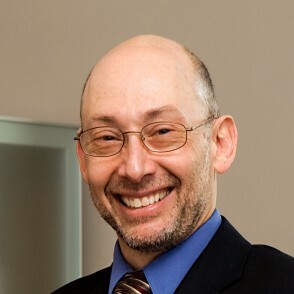 He has also been active in the management of the peer-review process serving as the past editor for “Endocrinology” and the “American Journal of Physiology (Endocrinology & Metabolism).” His wealth of experience in diabetes research and administration will continue the tradition of strong leadership as the director of The Albert Einstein College of Medicine diabetes center.